A centre of excellence moulding responsible citizens with outstanding life-skills to meet all needs of the globe. A symbol of innovation committed to provide education blending head and heart, nurturing human and humane qualities. Provide an environment that leads the learner to excel in pursuit of knowledge and experience in an atmosphere of genuine freedom and profound joy. Develop all the intellectual capabilities guided by the spiritual instinct to be the role models with positive outlook and adherence to ethics. Equip teachers with novel resources to bloom themselves and to groom the growing buds to their best, ensuring meaningful participation of the parents and the society. Infuse temper of competence and sense of co-operation to excel as exemplary global citizens. Shantiniketan Indian School was founded on 27th July 2000 by a team of promoters who felt the need for a school providing quality education at affordable fees. The Director board frames the school policy and approves the annual budget. The Board consists of the Chairman and two Directors. The Director Board appoints the Management Committee Members. 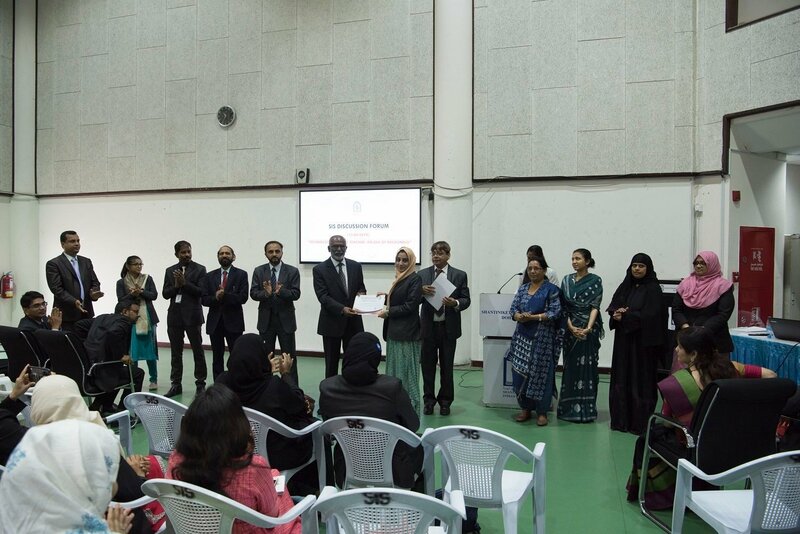 The School Management committee consists of 7 members who have expertise in various fields. 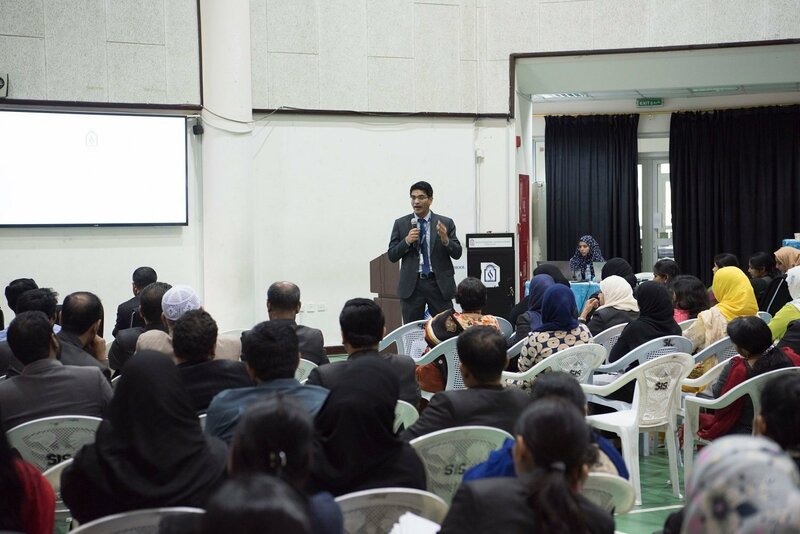 The committee advices and recommends policy initiatives and provide support for the school leadership for implementing policy decisions aiming to achieve continuous improvements in all domains. Principal is the leader of the academic and administrative affairs of the school. The Academic responsibilities are delegated to the Vice-Principal (Academics) and the administrative responsibilities are delegated to the Vice-Principal (Administration). Section Heads, Heads of Departments, Class Coordinators and Class Teachers work as a team for the smooth functioning of scholastic and co-scholastic processes. A nominated body of student leaders headed by the Head Boy and the Head Girl form the student Council of prefects. 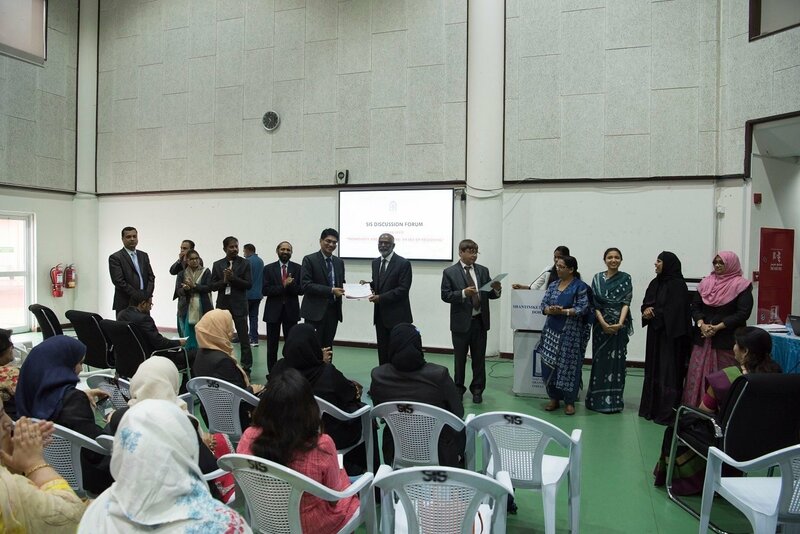 Student Council members assist teachers in improving the learning environment through their leadership and help and motivate students in the learning process and for the development of integrated personality. 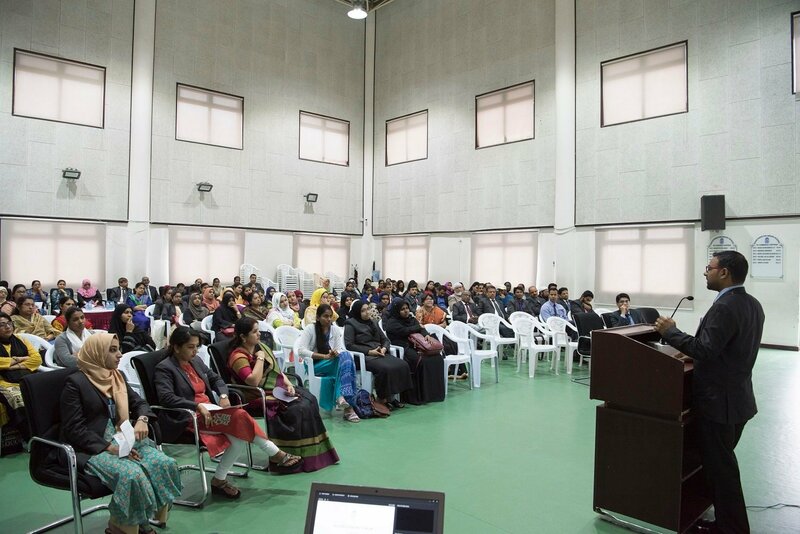 SIS caters mainly the educational needs of the Indian Community in Doha. 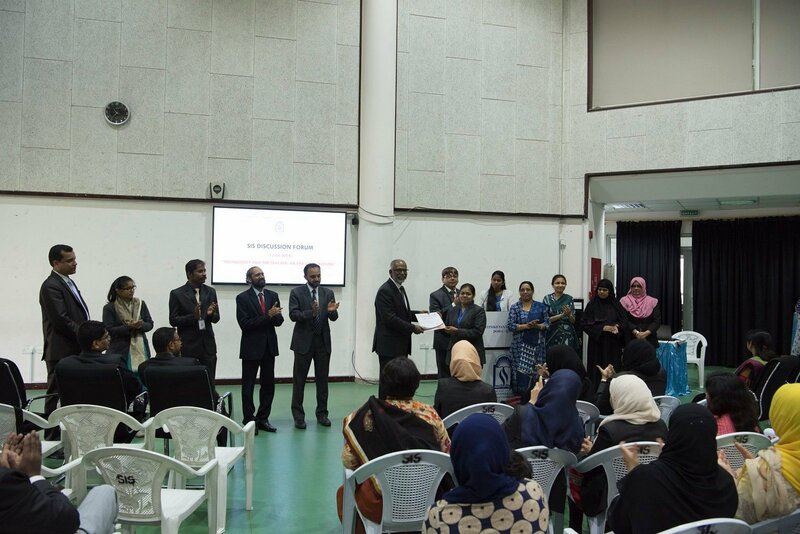 However the faculty and the administrative staff are presently drawn from more than seven different countries and the student body represents over twenty three nations from around the world. 67% of the student community are Indian Nationals. SIS is a privately managed coeducation K-12 institution striving for excellence through continuous quality enhancement. 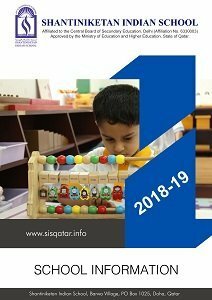 SIS is committed to quality education from KG to Class XII based on the curriculum developed by National Council of Educational Research and Training (NCERT), INDIA and the Central Board of Secondary Education (CBSE), INDIA. SIS curriculum transcends beyond nations and geographical boundaries because of its comprehensiveness in nature and application. The bench mark curriculum is distinct with its dynamic nature and innovative approach. It is designed to mould the learner to meet the needs of the global village. SIS has three separate courses: CBSE (National) for students opt for a curriculum giving emphasis to Indian Languages and Indian History and Geography , CBSE (International) for children who wish to have greater language option and both local and global perspective, and NIOS (National Institute of Open Schooling) for children who dropped out of the mainstream schools and wish to complete the course. Medium of instruction for all the programmes is English. School organises planned programmes for Scouts and Guides for leadership development, Hobby Clubs for generating interest among students for innovation and creativity, and Learning Centre to assist children with learning difficulties and to support others, including high achievers, to maximise academic achievement. To Support Children with Learning Difficulties SIS has a planned teaching learning programme to develop skills, competencies and knowledge in languages and subjects like Mathematics, Science, and Social Science for classes I to X. A concentric approach is adopted to develop different concepts as children move along the classes every year. For Classes XI and XI, in addition to Functional English which is common to all the students, they select four elective subjects from the list of available subjects and combinations. The subject topics are split among two terms for classes up to X and evaluation is done at the end of each term, one in September and the other in March. For classes XI and XII also the units and topics for all the subjects are split up term-wise. However the final results are base on the Final Examination conducted at the end of the academic year in March. Qatar History and Geography is taught to all classes. 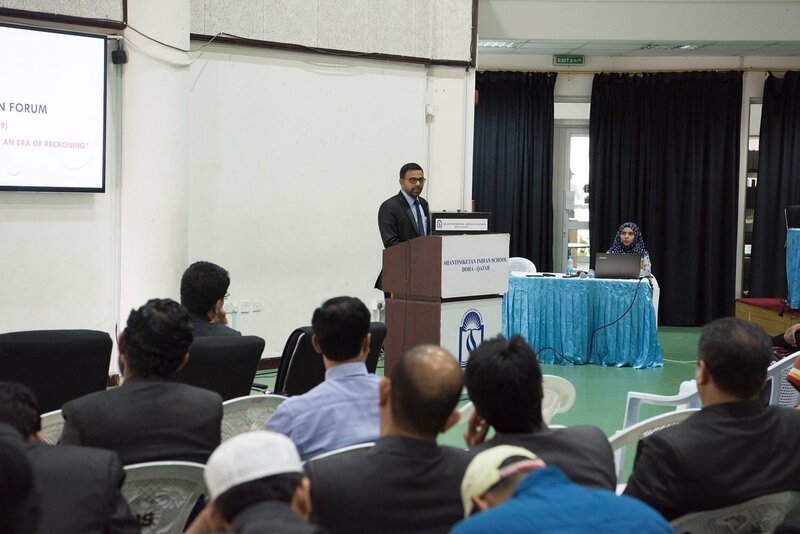 Islamic Studies is taught to all muslim students while other students are taught Moral Studies. 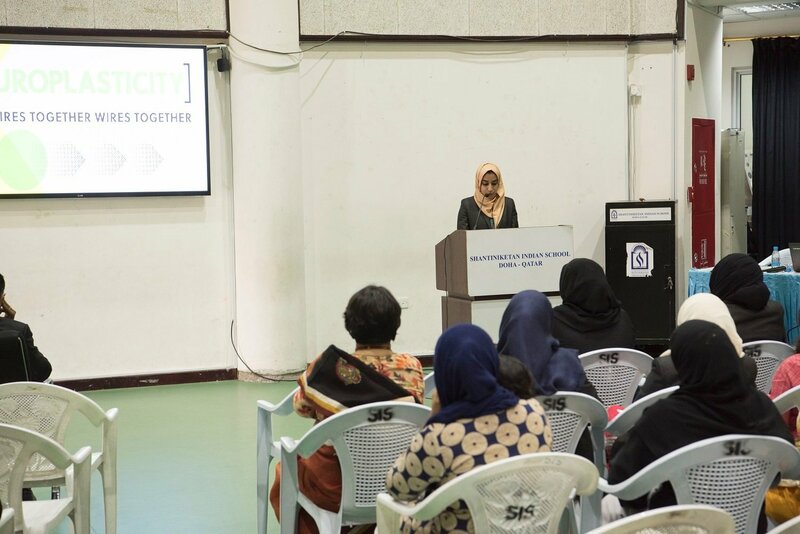 SIS has included Life Skills, Work Education, Visual and Performing Arts, Value Education and Co- curricular Activities like Sports and Scouting and Guiding as co-scholastic areas in the curriculum. Children develop Thinking Skills, Social Skills, and Emotional Skills as Life Skills. Children are supported to develop positive attitude towards teachers, school mates and school programmes. 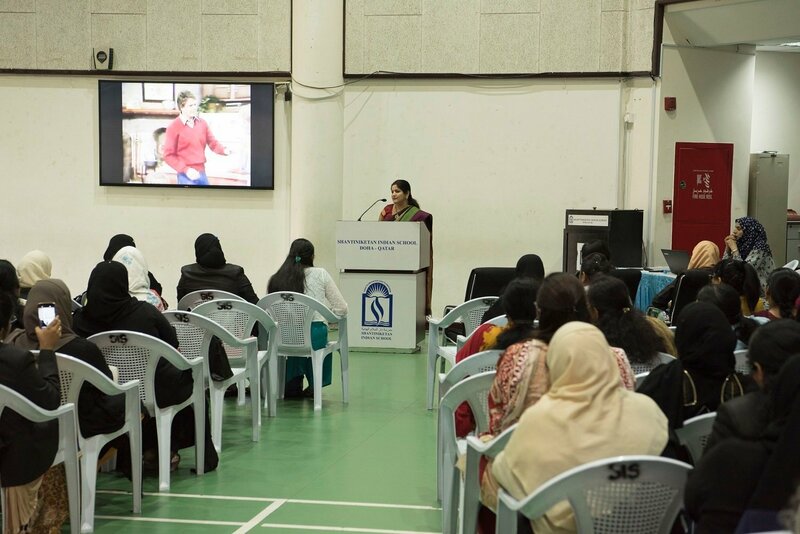 SIS creates a deep learning environment for empowering schooling which is experience centred and interactive. Continuos and Comprehensive Evaluation ensures active participation of all students in both scholastic and co-scholastic activities. All students are grouped into four Houses: Red House, Green House, Blue House and Yellow House. Sports, Arts and Literary competitions for different levels (Juniors and Seniors) are conducted House- wise. This ensures large participation by students as they get a chance in the selection rounds and in other rounds according to the skill levels. 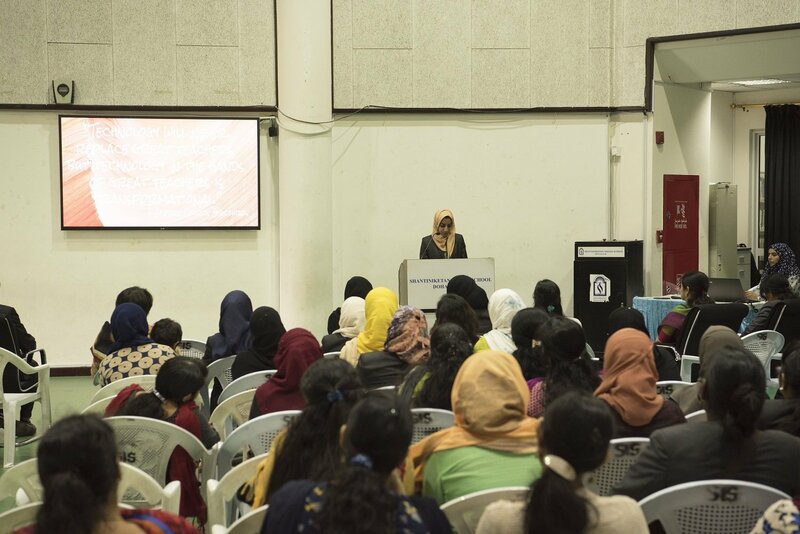 SIS promotes self discipline through value education. Code of Conduct and SIS Values are known to the students of all the classes. Constant monitoring of student behaviour and structured school programmes and the active involvement of student council and scouts and guides members make sure that a safe learning environment is maintained inside and outside the classrooms. Timely intervention by the student counsellor makes sure that children are given guidance and counselling at the right time. Individual counselling is given to children having behavioural and socialisation problems. Everyday, before the beginning of the first period, there will be a Home-Room Period managed by the class teacher to give opportunities for children for the development of students’ soft skills. Every child gets an opportunity to sharpen the skills. This period is also utilised by the class teacher for group counselling which helps in ensuring discipline. SIS family is a closely knit community where each stakeholder is equally proud to be a member. Students are motivated to work hard to attain higher grades in both scholastics and co-scholastics. 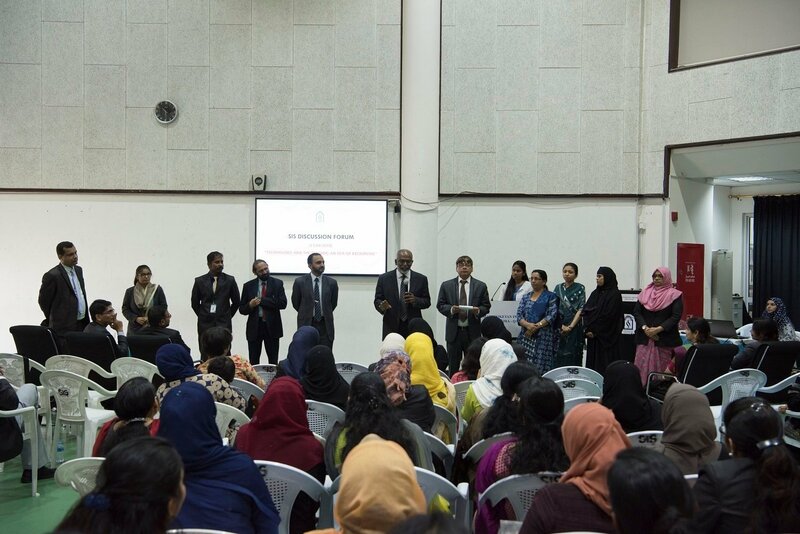 Helpful and supportive staff is committed to improve quality in teaching and administration. They are receptive to ideas, innovative and mutually supportive. School has well designed classrooms, Language rooms, Music rooms, laboratories (Biology, Physics, Chemistry, Computer Science, Engineering Graphics and Home Science), Library, Canteen, Play Grounds, well-managed transport system designated prayer areas and a multi-purpose activity hall. 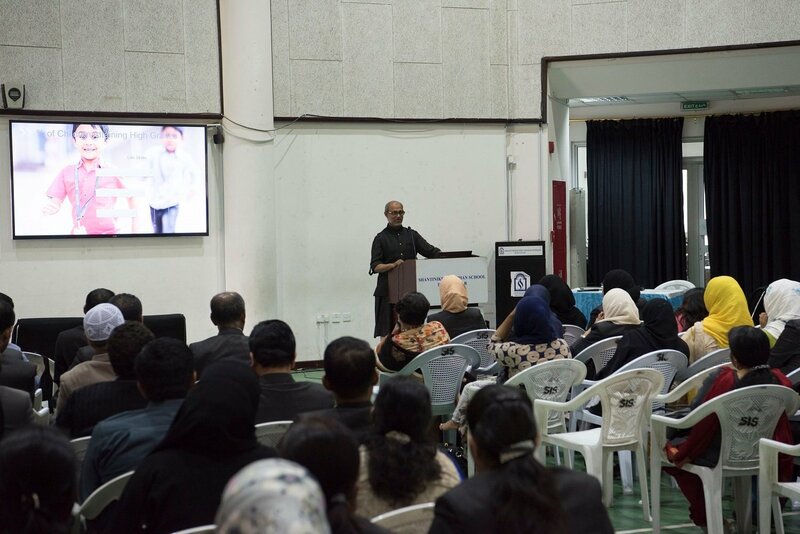 Academic programmes are planned to maximise utilisation of the available facilities. The school has a student – teacher ratio of 20. All teachers are well qualified with either graduation(B.A. or B.Sc.) or post graduation (M.A. or M.Sc.) in respective subjects and teachers’ training (B.Ed. or M.Ed.) or a professional degree or diploma in the respective field. The areas where teachers need professional development are identified through a monthly self appraisal by the teachers and through observations by the section heads. Teachers Professional Development Programmes are organised by both external resource persons and through in-house workshops. 50% of parents have formal educational qualifications and are experts in their field of work. 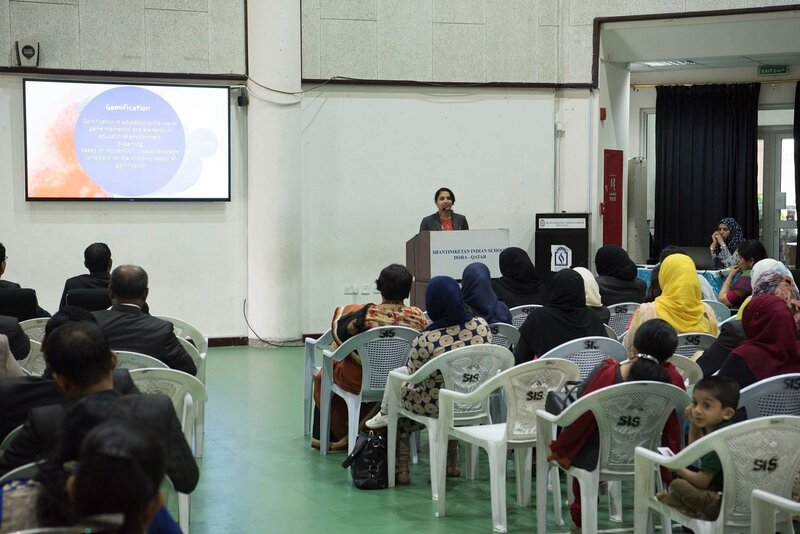 A good number of parents are supportive to their wards and frequently provide constructive suggestions and feedback to school for improvement of quality. Since both students and teachers comprise of expatriate community transfer of residence due to unexpected reasons is frequent for both students and teachers. In average, 7.5% of students and 19% of teachers are transferred to their home town due to personal reasons, in an academic year. % of absenteeism of teachers is less than 3 and that of students is less than 5. Strict follow up measures and remedial programme are in place to bring these figures further down. school is providing fee concession to the deserving students. Remuneration to the school employees is being revised to match with the industry standards. Since 2008, the school is undergoing development in all domains. The income generated through fees is not sufficient to meet its operational and developmental expenses. So the school is at present having a deficit budget. These negative balances are managed with the additional fund brought by Director Board and also using its long term liabilities like caution deposit, employee end of service benefits etc.. The school can survive in the long run and can expect the sufficient fund from the operating income to meet it’s operating and future development expenses only with a rise in its monthly fees which is under consideration of SEC. 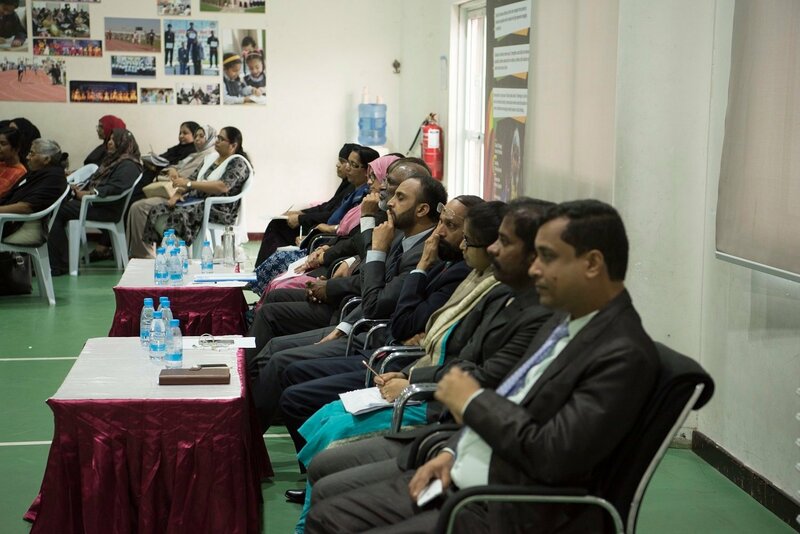 Cost-effective in-house training programmes are planned and materialised for Teachers and Students. School management earmarks funds for training for teachers and students by resource persons from external agencies like CBSE and CIGI (Centre for Information and Guidance India). A large number of fee concessions are granted every year to children who have genuine difficulties to meet their educational expense. Children of staff members are given fee concession. Children with special needs are integrated with the main stream and teachers are trained to practice inclusive education. Children with learning disabilities are identified and specially trained to cope with the class. Children with language difficulties were given a scaled down curriculum for that specific language. Classes having differentially abled children are given special training (to students and teachers) to take special care of children with special needs. 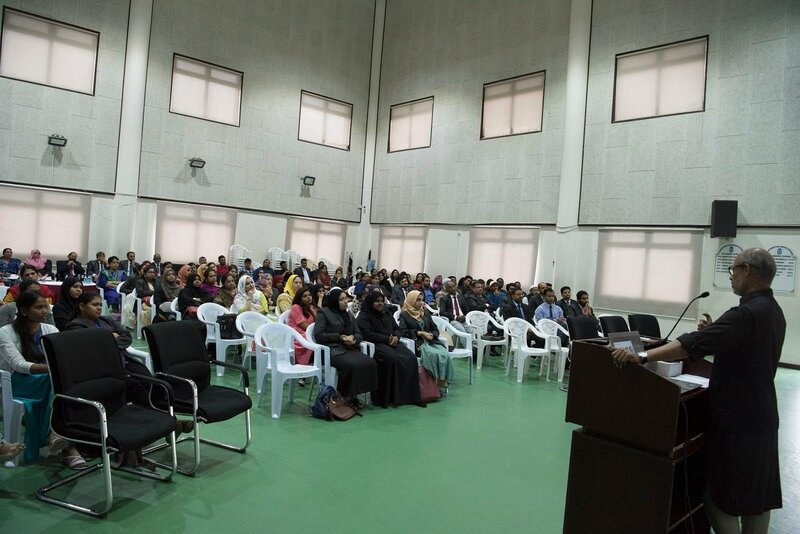 Teachers and students are given ample opportunities to express their opinion on various aspects of school like curriculum transaction, assessments, co-curricular activities and staff and student welfare. Every year SIS conducts school wide opinion survey for Teachers, staff, and Parents. School students provide feedback on various aspects of instruction and administration. When asked to freely respond to what they liked about SIS, respondents could most frequently cite the positive learning environment at the school. 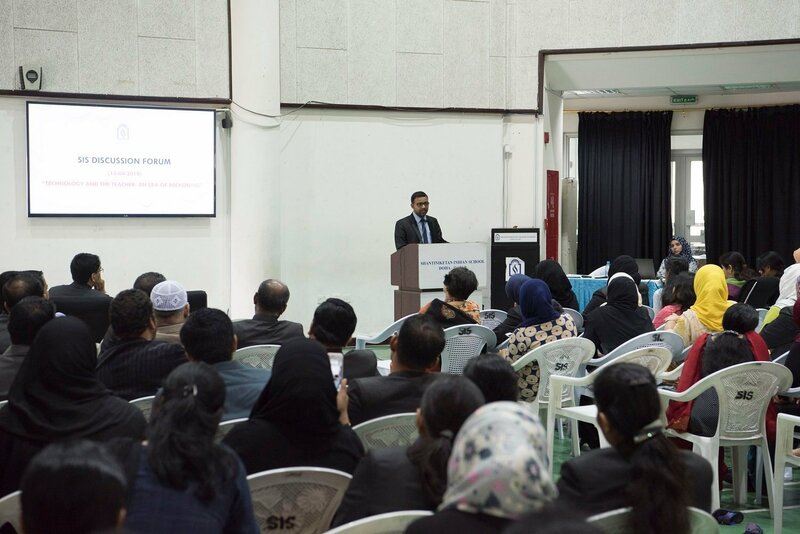 School organises, in addition to the regular Parent-Teacher Meetings, periodic Parents’ Open Forum Meetings that give parents an opportunity to register direct feedback on school activities and give suggestions for quality enhancement. 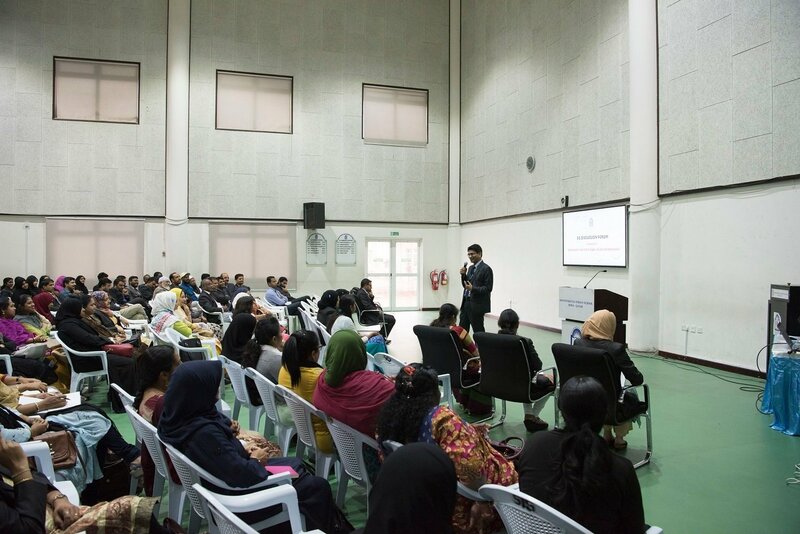 These interactions motivate parents to get involved in school development programmes. The School was established with 73 students at Doha Al Jadeed. Upgraded classes up to VI, shifted to the new premises at Mansoura. The class X (first batch) secured 100% result. New Management took the reigns of the School. Introduced the new Vision and Mission. CBSE – International curriculum was introduced. Affiliated to National Institute of Open School (NIOS). i. 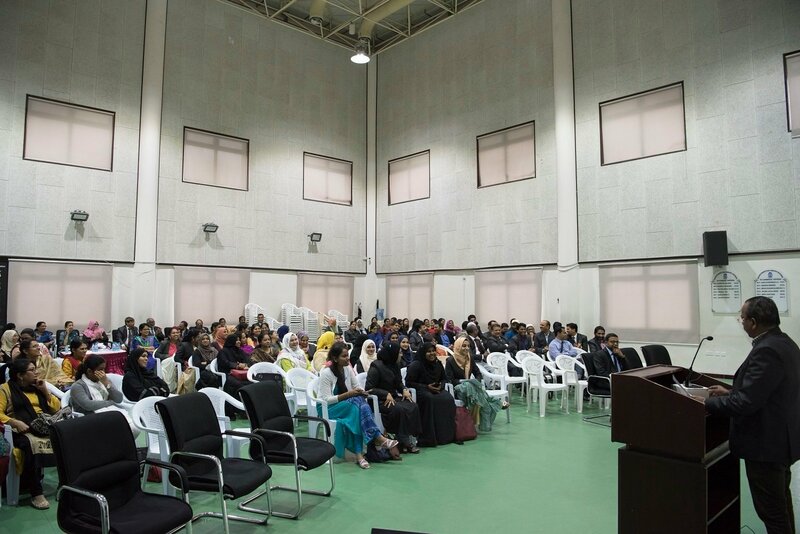 The School relocated to new premises at Barwa Village. ii. Upgraded to Senior Secondary level. The school demonstrated excellent performances in the class-X examination. The First batch of Class XII attained excellent results with 09 Students obtaining A1 grades in all subjects. 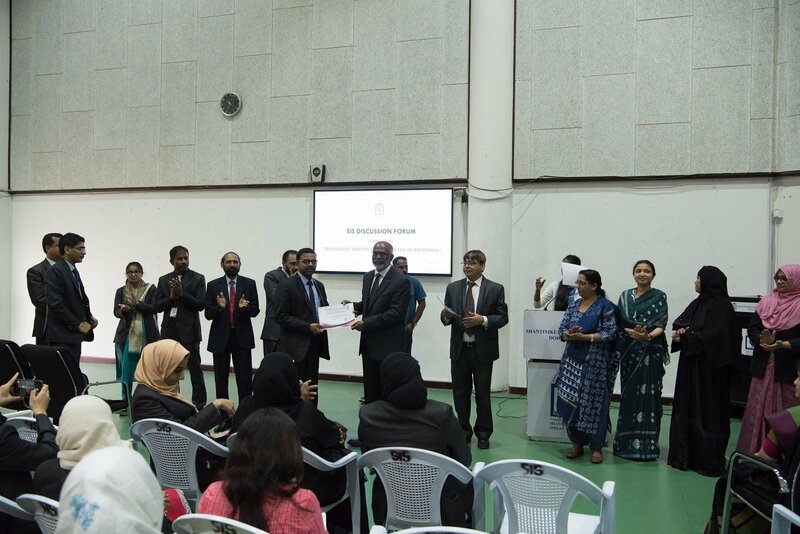 The School initiated ICT drive: School Information Management System (SIMS), Multimedia classrooms, e-Learning, e-Training, e-content and e-Magazine. Integrated language labs in Computer Lab, Improved Library and e-library Facilities. 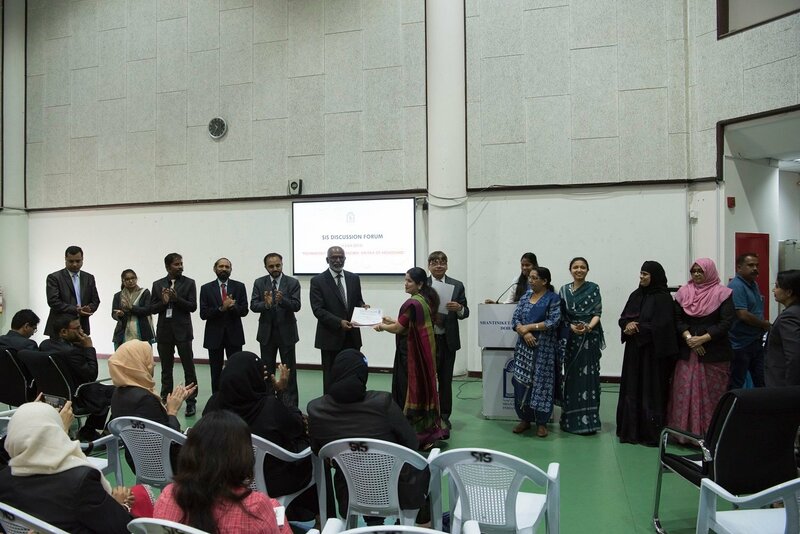 Qatar Toppers in Class XII CBSE Exam, Candidacy for QNSA Accreditation, Enhanced sports facilities with turf and synthetic track. i) Introduced new furniture in all class rooms. ii) Modernized Junior Computer Lab. iii) Introduced Mobile application for school information. 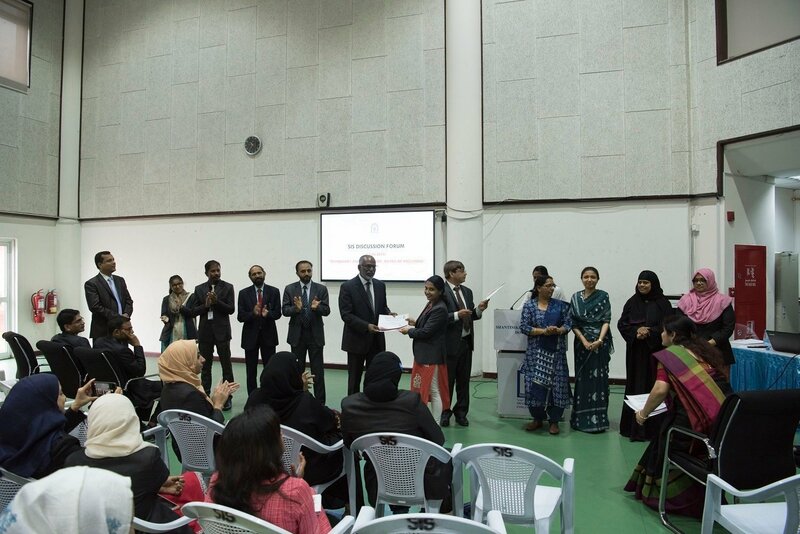 Attained QNSA (Qatar National School Accreditation).